An obituary attempts to give an account of the texture and significance of the life of someone who has recently died. Last week markers where placed, by Travis Baer at Grandview Cemetery. This project is now just over half done, and was funded by corporate donations and donations by private parties. The Gary Historical Association voted last year to start this project, Travis Baer has spear-headed this project from the start. 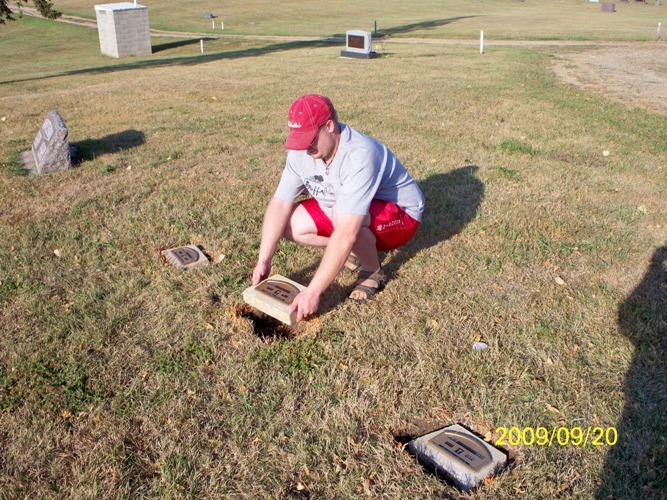 Travis stated that this project benefits everyone that has a loved one buried at Grandview and the community. I have raised almost $1,500 dollar over the last year for this, many people from not just Gary are very happy about this project. This is just a small piece of the history of Gary that we needed to show the public. 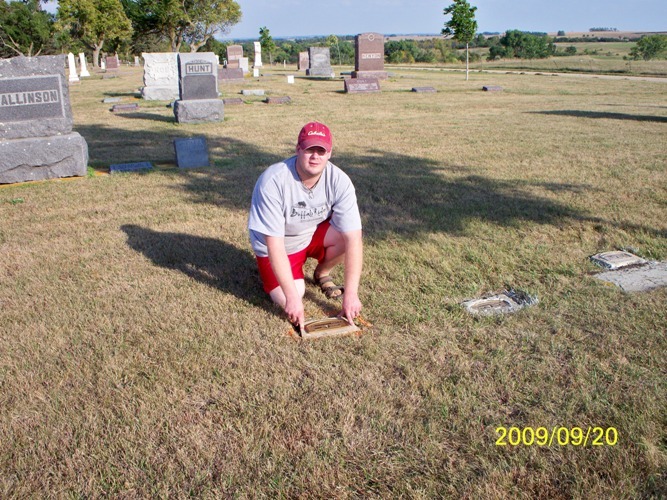 A Special thanks goes out to Mike Nosbush, who located and marked the placement of all the stones that have been placed. Next time you are out at Grandview watch for the 85 new markers that have been placed. It also helps us remember that person as the years go by. If there is an * after a name and date, you will find an obit if you click on the name.